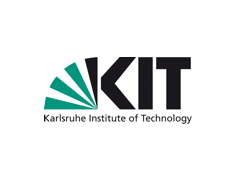 KIT is one of the biggest research and education institutions worldwide and has the potential of reaching a top position in selected research areas on an international level. The objective is to turn KIT into an institution of top research, excellent scientific education, and a prominent location of academic life, life-long learning, comprehensive advanced training, unrestricted exchange of know-how, and sustainable innovation culture. Kaiserstrasse 12, 76131 Karlsruhe, Germany.